Expecting an extra special little package under the tree this year? 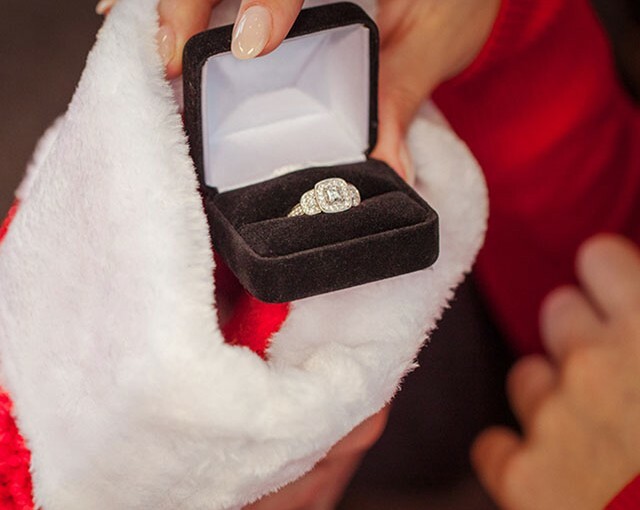 If jingle bells aren’t the only “rings” you’re expecting this holiday season, with a little luck you’ll soon be planning your Vancouver Island wedding! A successful wedding is the result of thoughtful planning and organization, and we’re here to help you. Need recommendations on Vancouver Island wedding professionals? We’ve helped out with hundreds of weddings on Vancouver Island and we know what it takes to make your wedding planning effortless. We know who to trust, who goes the extra mile and what supplies you’ll need to host the perfect wedding. Give us a call at 250-871-4646, and we’ll gladly put you in touch with all the wedding professionals and resources that you’ll need for your special day. Wherever you plan on holding your wedding, we also have all the wedding supplies and rentals you need to make your special day sparkle and shine. We wish you a fabulous holiday season and a new year filled with fresh and exciting adventures! Celebrating the holidays on Vancouver Island? We’ll do your dishes! Planning a Vancouver Island Wedding in 2016? Book your marquee tents now!